The iQon-EQ Ion Electrode Lighter is our latest and most versatile Electrode dual arc lighter. 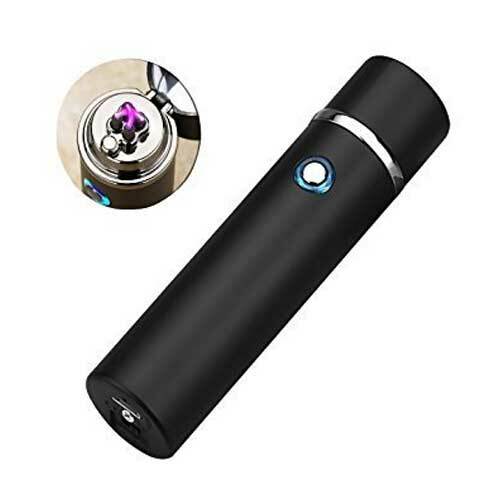 With dual arc technology the vertical electrodes on the Ion Electrode provide open access to the dual arcs at the top of the lighter to easily light candles, pipes, cigars, and anything else in milliseconds. It is also impossible to blow the current out like a regular lighter, so you can use it in any windy situation. These are also useful when detecting or in an emergency situation. Ion Electrode Lighters contain pulse points where electrical voltage potentials are applied to each electrode point. The voltage potential between the points ionizes the air and creates a visual and beautiful, yet powerful, electrical arc current. The current contains more heat than any flame and can instantly create fire. Large or small, the electrode can light it. Simply press the button, hold the arc next to your object, and pull. The electrode’s arcs adapt and move to the object you are lighting. Unless the switch is “on” and the button is pushed the lighter will not light. Unlike regular lighters, they do not heat up and are much less likely to cause burns. 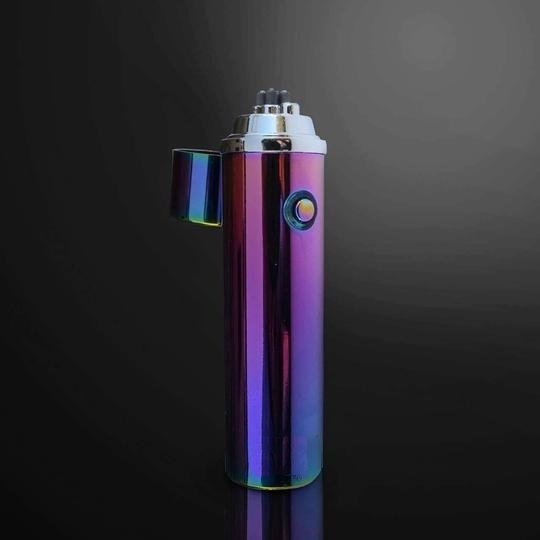 The electrical arc is also windproof, so this lighter can be used anywhere, anytime. 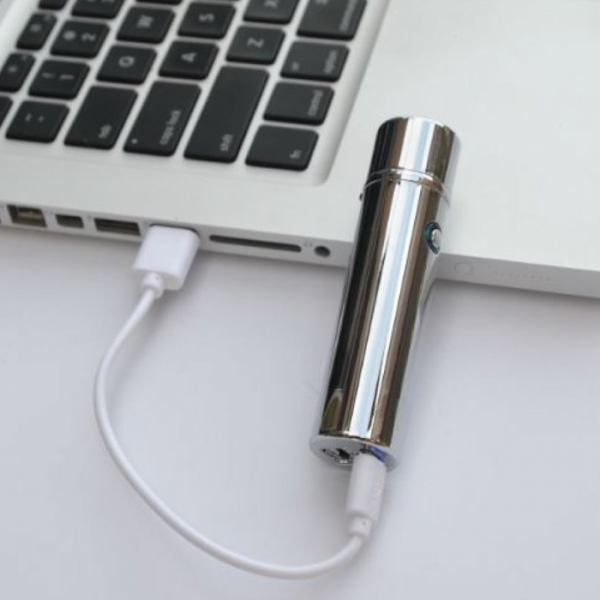 You never need to worry about fuel, as these lighters run on rechargeable lithium ion batteries that last for days with regular use. Not to mention, they are a very cool and interesting gadget that act as conversation starters wherever you use them. 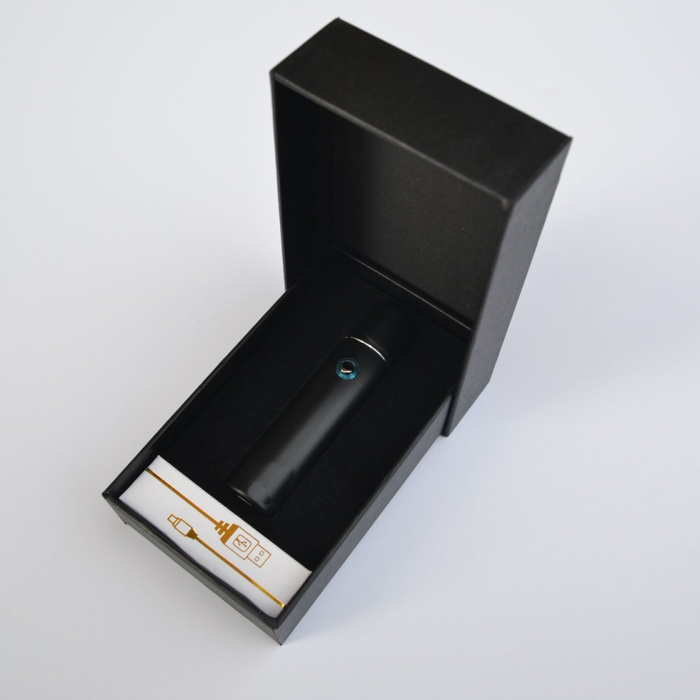 When you order from us, you’ll receive your Ion Electrode Lighter securely situated in a protective gift box. Inside is also a USB charging cable. What are the lighter dimensions? Lighter in video is not the same brand but similar.